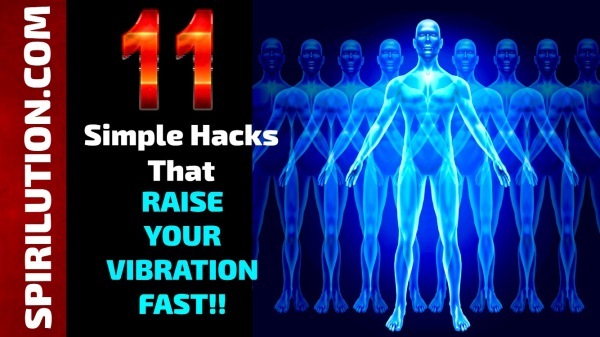 11 SIMPLE HACKS THAT WILL RAISE YOUR FREQUENCY & VIBRATION FAST! Learning how to raise your vibrational frequency is the single most important thing you can do to improve your life. By learning to raise your vibrational frequency, you will be able to create the biggest possible impact you can have on yourself, and the planet as a whole. This shift is so powerful that it will change everything about you and the people you come into contact with. It is the foundation of this shift that will allow you to go out into the world and do great things, if that is what you are destined to do. All vibrations operate at high and low frequencies, within us and around us. If your vibration is low it will be evident; it's simply a matter of bringing awareness to your situation and then working on rectifying it. Perhaps you’ve never thought about your frequency before, but it impacts every aspect of your life. You create your own reality, and like attracts like. By the law of attraction, you magnetize or repel all experiences, people and circumstances into your life, even ones that appear to be coincidental or accidental in nature. Similar to radio waves that are heard clearly but remain unseen, your vibrational frequency emanates from your cumulative thoughts, emotions and consciousness, and is continually being broadcast out into the universe.